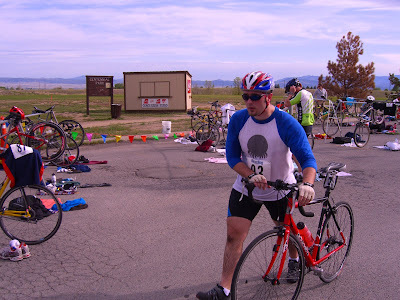 Technically, it was a Sprint Triathlon - a shorter faster version of an Olympic length triathlon. 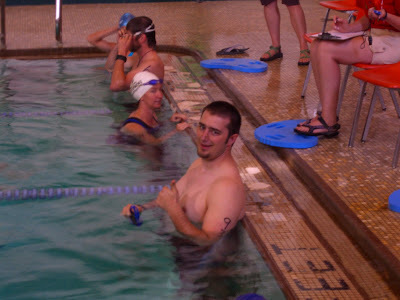 Sprint = 1/2 mile swim, 12 mile bike, 3 mile run. 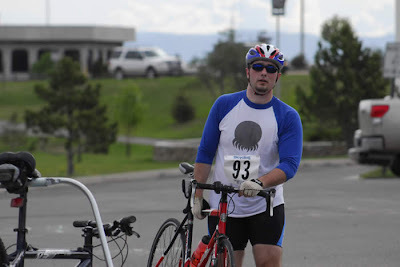 First and foremost, I did not cry before or after the finish line. I did a lot of sweating and that may have looked like crying but I assure it was only my skin crying from exhaustion. 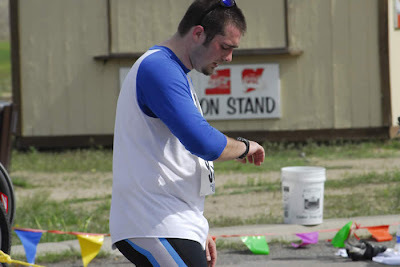 The one thing I did get at the finish line was complete and utter exhaustion. 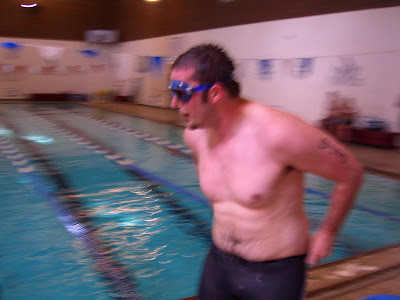 I had swam 1/2 mile faster than I've ever swam before (21 minutes - grease lightening if your name is Denver), biked 10 miles and hit the wall so to speak for miles 10-12 (46 minutes) and got off my bike and tried to run a total of 3 miles (42 minutes - long story). Every muscle and joint I used in the previous 2 hours hurt. It was either cramped, completely limp, or it just hurt. It was the most miserable I can remember feeling in a LONG time. I hated it. I'm going to do it again in 5 weeks. This race served as a good starting point. 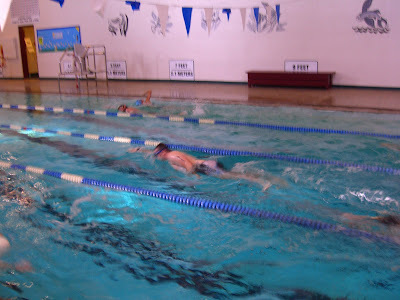 My swim can be improved dramatically if I can build the endurance to swim continually and turn around effeciently. 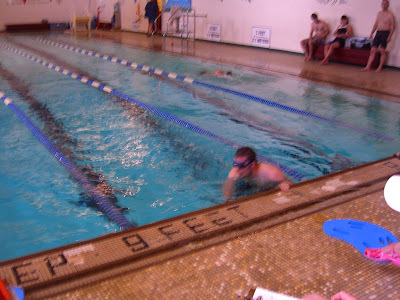 As it is, I get to the end of the pool, stand up, cough up a lot of water, breathe, and jump back in and go. 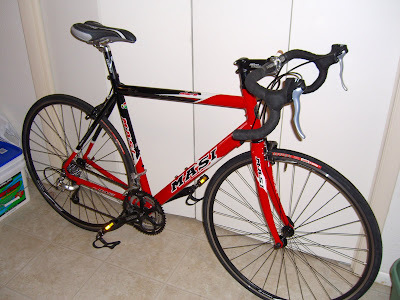 Biking can be improved by starting a real training routine instead of going out once or twice a week for 12 miles and riding until my legs hurt, then whining some more - so my plan is to begin a structured bicycling exercise routine. Running - this was truly a pathetic low for me for more reasons than I care to count. One thing I wasn't read for was knee pain. I had a surgery a year ago on my left knee. After the first mile of running (very slow) my knee started to hurt - it got to a point where I had to walk until the pain went away and jog again. Unfortunately this didn't even allow me to run hard or long enough to get my heart rate up - SO, one of my biggest goals in the next 5 weeks is to strength train my left knee and hopefully run and condition it to a point where there is no pain running. 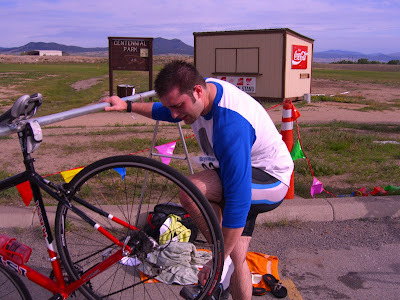 My transition time was also pathetic - so I will work on cutting this in half. 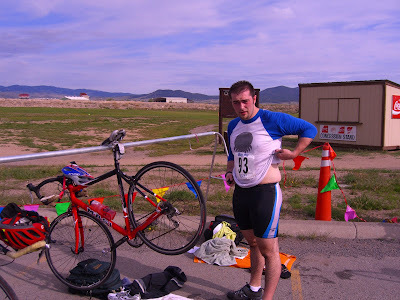 My goal for for my next triathlon is to finish 25 minutes faster than the first - most of this will come from running. My goal is to maintain at least a 10min/mile pace. Below are some pictures... Click on the image to make it larger. Camera work is fuzzy - I blame Dave Conners. 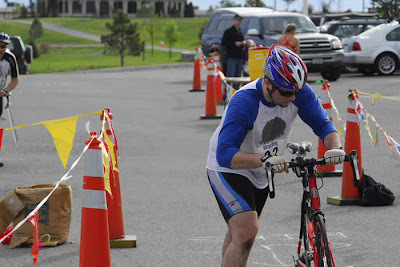 Very quickly, my bike (again if you missed the first time) and my slow turn. These two are going on my resume for Baywatch.